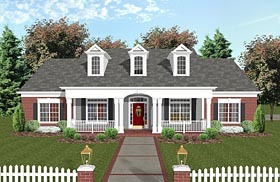 Country House Plans with Great Outdoor Living Space. Adapted from one of our all-time best-sellers, this elegant country porch style boasts timeless classic styling. From the inviting front porch to the rear screened porch and deck, this home provides dramatic spaces, luxurious appointments, and true flexibility. 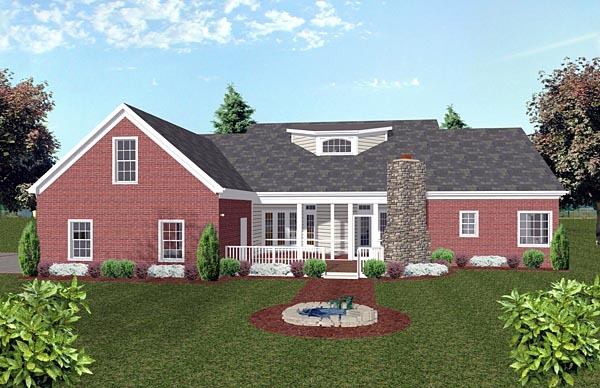 Its innovative design provides an abundance of living area, including a media room/office with direct outside access...countless exciting features, all in an affordable 1992 square feet.